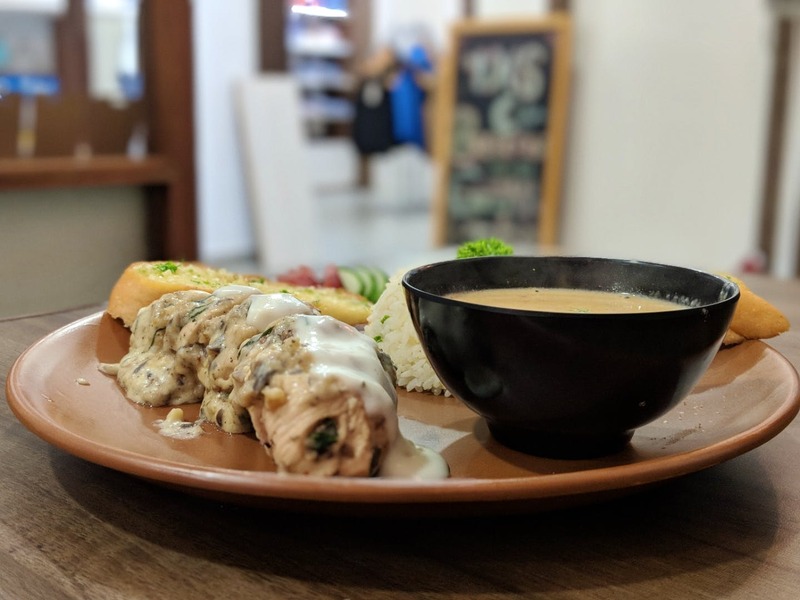 Namakh Store and Cafe is a one-stop place if you are looking to grab a quick bite, shop from local start-up brands and enjoy an ongoing event. It is a complete package in itself. The food is freshly prepared and it tastes delicious. We opted for the Barbecue Chicken Wings and Mushroom Stuffed Chicken, both of which, were perfect. Next up, we browsed through the unique collection at the store. Florence Edition specialises in menswear. Meraki and Rustic Trunk offer handbags and accessories. There are other brands that offer kids wear, decor and more too. Their collection is brilliant and one should definitely visit the store. More options in women's wear.